Captain's Row - Chatham Townhome with Community Pool and Tennis -Central Air! Property 55: Captain's Row - Chatham Townhome with Community Pool and Tennis -Central Air! 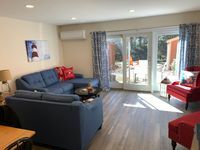 Updated Ocean Edge Resort Condo - Cape Cod Living @ its Best! 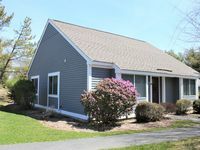 Property 58: Updated Ocean Edge Resort Condo - Cape Cod Living @ its Best! Dennis Port Condo w/Patio- Steps to Private Beach! Property 60: Dennis Port Condo w/Patio- Steps to Private Beach! Classic Centerville Condo 3 Blocks from the Beach! Property 63: Classic Centerville Condo 3 Blocks from the Beach! Waterfront Cutie at Mayo Beach! Property 71: Waterfront Cutie at Mayo Beach! Property 74: DETACHED HOME IN THE PERFECT LOCATION AT OCEAN EDGE RESORT! Beautiful Condo Minutes From The Beach! Property 78: Beautiful Condo Minutes From The Beach! Property 79: OCEAN EDGE RESORT GARDEN LEVEL VILLA HOME IS A KNOCK OUT! Property 80: Quaint Dennis Port Studio w/Patio - Walk to Beach! Now Booking 2019 Vacation Stays! New Central Air Conditioning! Property 86: Now Booking 2019 Vacation Stays! New Central Air Conditioning! Property 91: Ocean Edge-Completely Renovated! AC, HDTV, Land Line, Spotless! Property 93: Beautiful Chatham Village Townhouse! Affordable & Now with AC! Property 96: Affordable & Now with AC! Beautifully Refinished Luxury Condo. You Name It, We Most Likely Have It! Property 100: Beautifully Refinished Luxury Condo. You Name It, We Most Likely Have It! Just returned from a three night stay in this beautiful condo. Top of the line finishes throughout. The welcoming touches from the owners were such a nice surprise. I highly recommend renting this unit and definitely will again myself. Rating Details: The property manager was very helpful. The vacation rental was very clean. I was very happy with the location. I was very satisfied with the condition of the vacation rental. Overall, I recommend this vacation rental. Reviewer Comments: Family fun.... biking.... hiking.... sun and surf.. ideal location. Provincetown and Hyannis short drives away.